I got the chance to drive from Melbourne to Adelaide for a tourism promotion. I had never been to South Australia, and it seems that it’s not on the radar of most domestic and international visitors either. The coastal drive from the Victorian border to Adelaide along the Limestone coast is worth the road trip alone. Adelaide is a city with a well conserved Victorian heritage and completely surrounded by parkland. No Australian road trip is complete without seeing a big thing. 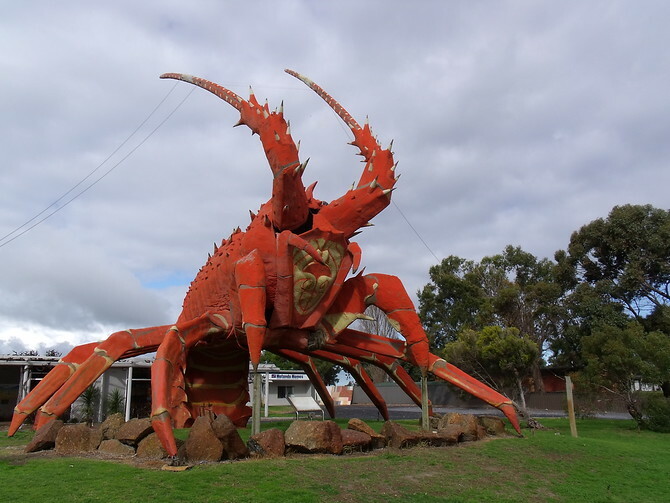 The Big Lobster in Kingston, South Australia, is one of the most iconic Australian big things. It stands over 18 metres tall, and has even been featured on a postage stamp. 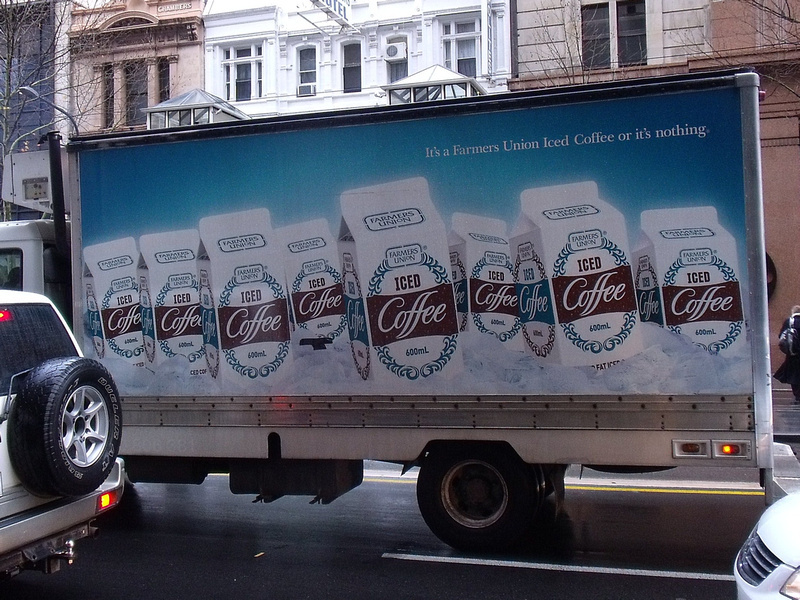 One thing that has already endeared me to South Australia is Farmers Union Iced Coffee. It’s not that it’s the best iced coffee in the world, though many people in South Oz will tell you that. No I like Farmers Union because around here this drink outsells Coca-Cola. I’m all for a land where a coffee beverage is the most popular drink. Only Irn-Bru in Scotland and Inca Kola in Peru can claim a similar honour. 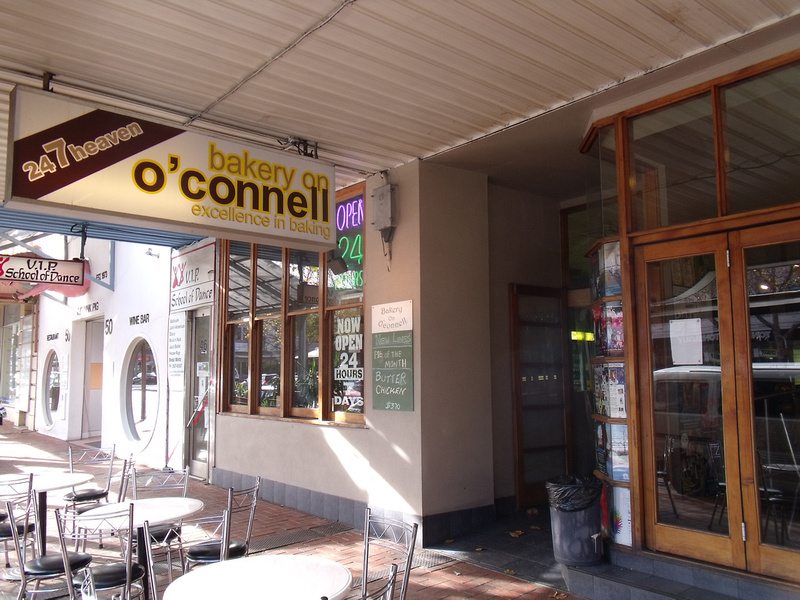 Adelaide is not only famous for being the only place where iced coffee outsells Coca-Cola, it is also known for the pie floater. 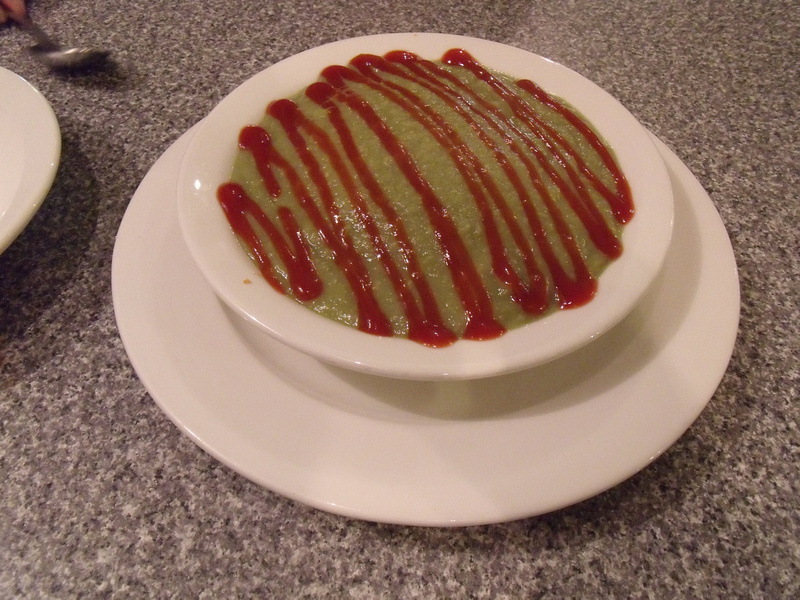 A pie floater is a meat pie in a plate of pea soup or mushy peas. It’s very English in its origin and apparently used to be popular across Australia, but has now found its spiritual home in Adelaide. A native Adelaidean told me about the iconic status of this dish so I had to try it for myself. It was already 11 at night, but Adelaide is blessed with a few 24 hour bakeries that serve this dish. My pie was submerged rather than floating, and the flourish of tomato sauce adds to the comical presentation of this meal. Despite the visual it’s actually not bad. If you like meat pies and peas you will like the pie floater. Wow, it’s the first time I’ve heard of a place where coffee is more preferred than Coke. I find that wonderfully surprising.